Home - Logan Auction Service, Inc. Downsizing?? Settling An Estate?? Relocating?? Expensive Storage Unit?? Hoarding?? BIG or small, We Auction It All!! IT IS HARD! Thinking about…. What do I want to keep? What do I want to pass down to my children? What can’t I live without?? THEN, THE BIGGIE.. What am I going to do with everything else?? Consider the auction method of marketing – It is the fast, fun, and transparent way to sell your items at a true market value. 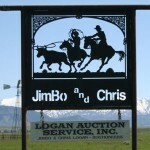 Logan Auction Service, Inc. based in Clyde Park, MT., was established in 2000. We are a full service auction business conducting various auction types: Estates, Farm/Ranch, Moving, Liquidations, Personal Property, Real Estate, and General Consignments. We also offer a personal property appraisal service for: Household, Tools, Farm/Ranch Equipment, Livestock, Antiques/Collectibles, etc. 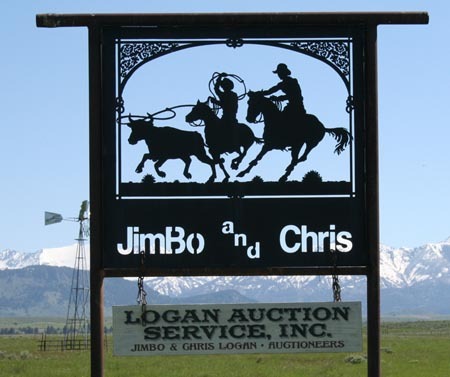 Logan Auction Service, Inc., JimBo Logan, Owner/Auctioneer, is a past President and Board Member of the Montana Auctioneers Association (MAA), a member of the National Auctioneers Association (NAA), and a member of the Livingston Area Chamber of Commerce. Chris Logan, Owner/Auctioneer, is also a member of the Montana Auctioneers Association and the National Auctioneers Association. We have had a wonderful year and thank all of our clients for making that happen. We love seeing each and every one of you at our auctions. We are currently booking auctions for 2019. If you are considering an auction or if in need of an appraisal, please don’t hesitate to call (406-686-4728) or email us at (loganauction@yahoo.com), or write us at PO Box 168, Clyde Park, MT 59018. We would be happy to visit with you about your needs. Let us help you get the results you are looking for. For a complete listing of all our upcoming auctions please visit the Auction Calendar on this site or www.auctionzip.com and enter code 1460, and if looking for other auctions in Montana, please visit the Montana Auctioneers site at www.montanaauctioneers.org.